Survey? Just a good idea. This is a recent survey of a property here in Durham, NC. A townhouse. 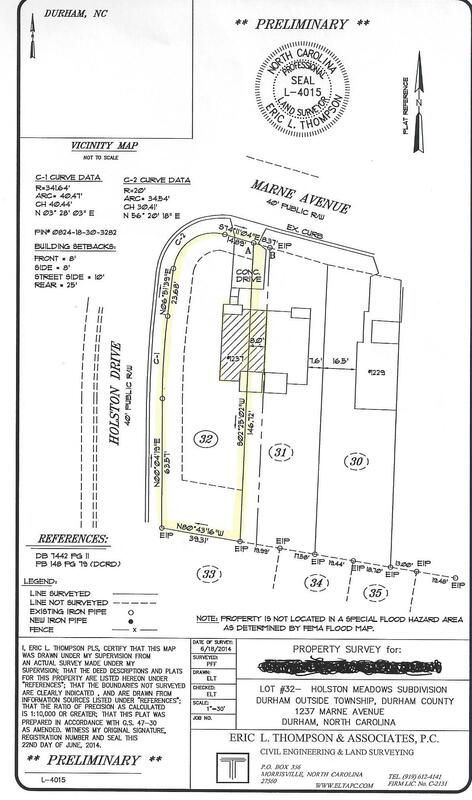 The wide yellow line highlights the property line. The diagonal lines show the actual home. Notice home the home encroaches 8 feet onto the neighbor’s property? A property survey is a great idea when purchasing real estate. If you or someone you know is thinking about buying, selling or leasing real estate please refer them to us. We have 21 years market experience in Raleigh, Durham, Cary and Chapel Hill.